With all of autumn’s love aimed at apples we sometimes forget that this is also the season for pears. Let’s spread a little love that way. 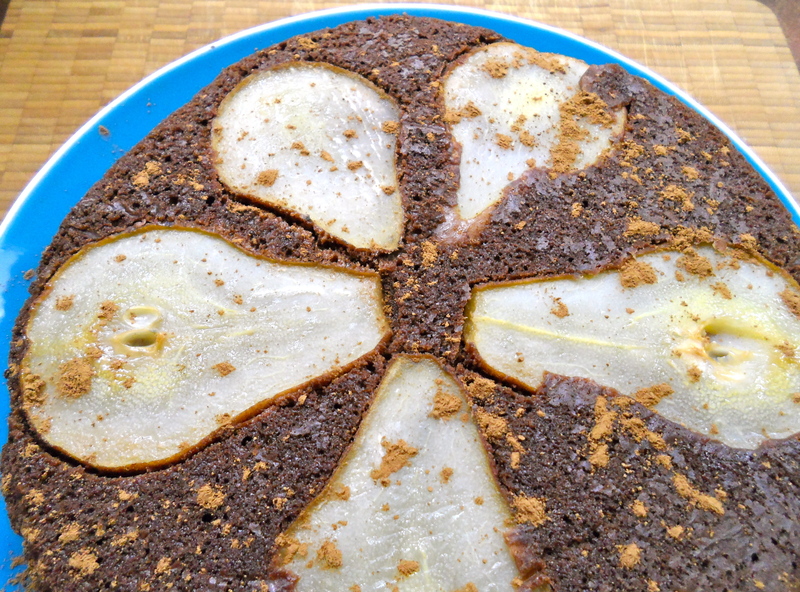 Spiced chocolate-pear cake – chocolate cake batter spiced with cinnamon and ginger gets poured over sliced pears in a baking pan. Once baked and cool, the parchment comes off and the light pears shine against the chocolate backdrop that is fudgy cake. I sprinkled a little cocoa over the top for serving, but icing sugar works too. 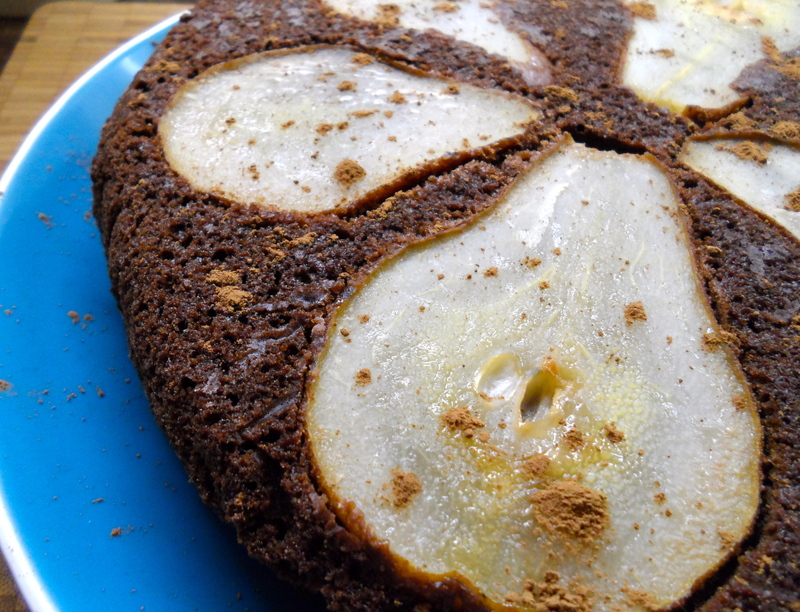 It’s only one pear on this cake, and I think a few additional pieces tucked within would be nice… but either way I’m enjoying some ripe pears this fall. In, and out of, cake. Previous weekly poll: rice or potatoes? 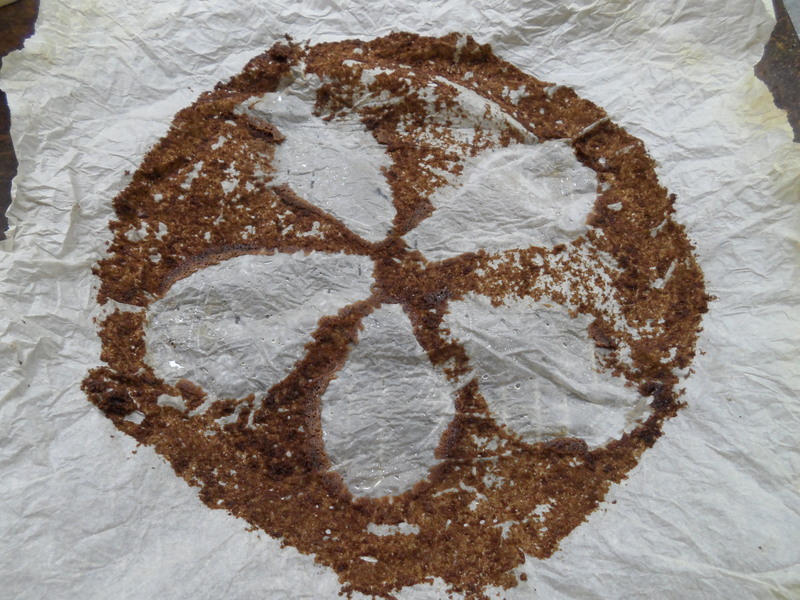 My favorite part about reading this recipe is the imprint left on the parchment paper. It’s so pretty.